We live in a world of much confusion, everywhere we find desperate people running away from something, why are fleeing the deplorable conditions in which they live; now people are fleeing the attack, fleeing persecutions of all kinds, such as to have been victims of religious persecution, racial discrimination, fleeing war, hunger and disease; beyond all running from a failure or a great tragedy that befell your life or something that happened in which left that place that until then lived, but in the face of changes that have occurred and circumstances that turned that place it was a delicious warmth just getting intolerable and one of the worst places then became unbearable! On the other hand, it must be considered that the man is a victim of their own choices, each is paying a heavy toll or an unwanted burden as a result of their wrong decisions. 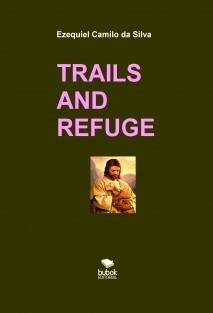 The trail is often an outlet for many people who are in desperate situation, however, escape is not the solution to the problems; It can be said that the flight will be just one of the means that can be chosen to minimize or alleviate the suffering of those who are going through difficult times of sorrow and bitterness.